That color really is perfect. 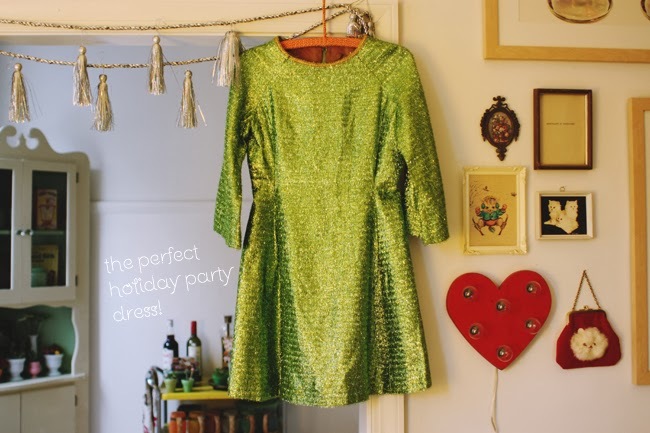 What a perfect holiday dress!! So gorgeous!! 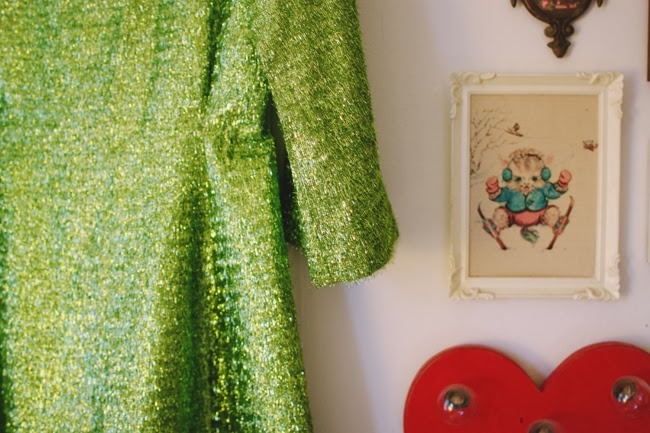 That tinsel dress really pulled at my heart strings when I saw it. So 60's and so perfect. It is too much of a shame that it wouldn't fit me! Oh my, this is now a tinsel dream of mine!! Gorgeous! !